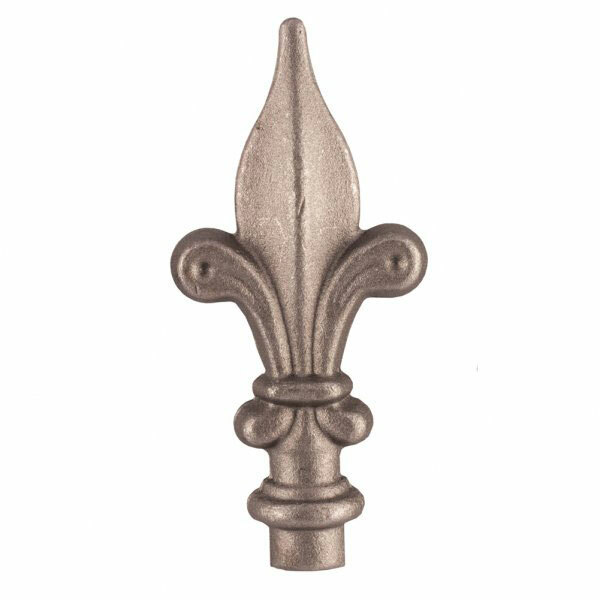 Very well suited to period properties the Stanwyck features a lovely chunky Fleur de Lys railhead and is ideal for those who seek a gently decorative style. The railhead itself is a statuesque 170 mm high and is set on a 20 mm round base. 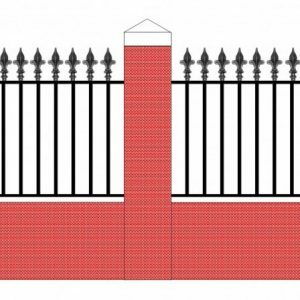 Together with the 20mm round vertical infill bars and the sturdy framework this style looks decorative and commanding without being over the top. 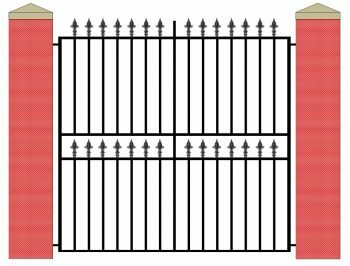 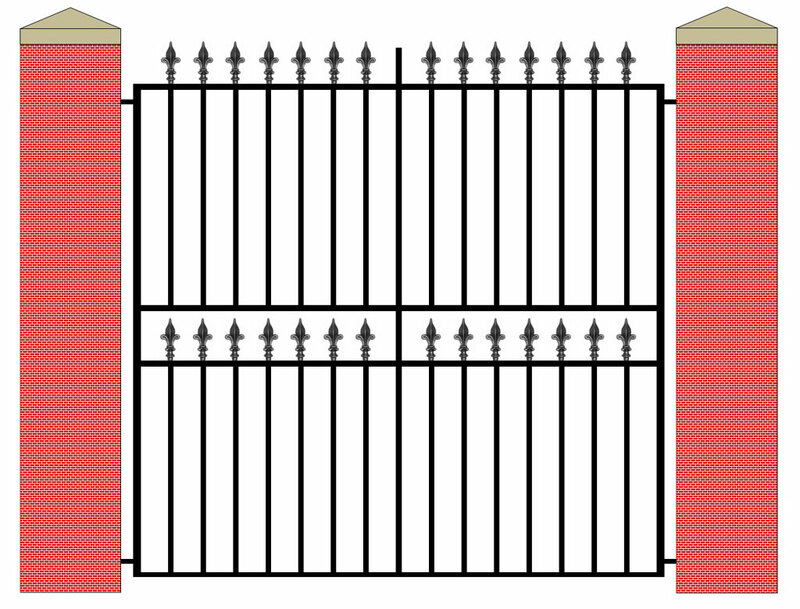 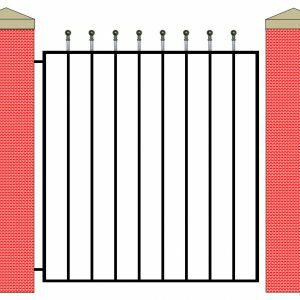 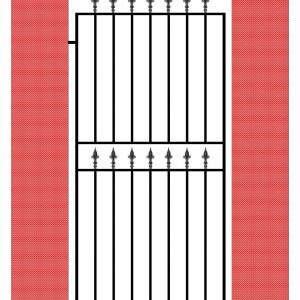 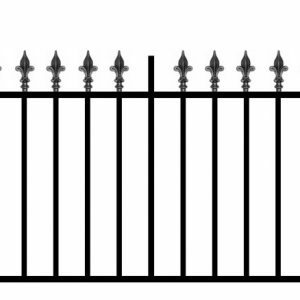 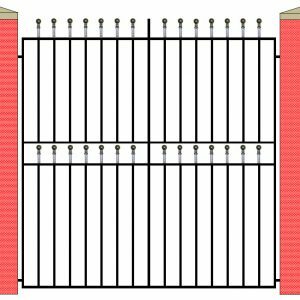 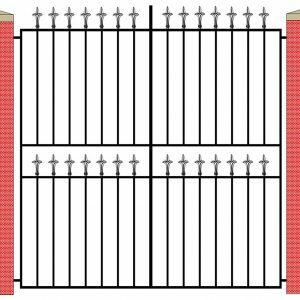 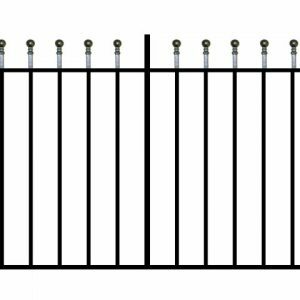 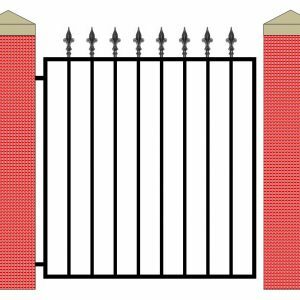 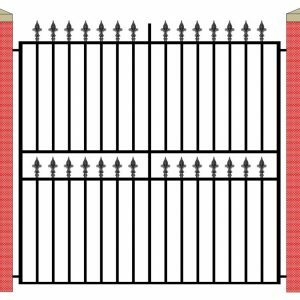 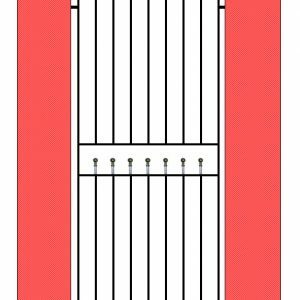 This product matches our wrought iron style Stanwyck Single Gates and our Stanwyck Railing. 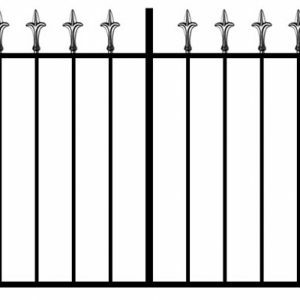 Heavy duty posts are required for these gates, POA.